We are nearing the end of the alphabet, but that doesn't mean the letter X is any less important! Find some fun printables to reinforce learning here. I'm not sure how you model an X-Ray out of playdough - but perhaps the kids can come up with a way? You might relax the rules with this playdough mat and ask them to model words ending with the letter x, too. How will the kids make the letter X out of playdough? Some might make two "sausages" and cross them over - as if they were writing the letter. The kids could use a variety of playdough colours, or just one colour and some crafty bits and pieces, to model a big letter X. It's a great way to get them familiar with the shape of the letter. Print this fun letter X poster when working your way through the alphabet with the kids. Learning letters is fun when our "alphabet of children" is on display! Here is the letter X. Why not make working with playdough one of your "letter of the week" activities - and print out this playdough mat, for the letter X, to help! Learning new letters can be tricky for very young children, so it's good to use fun and varied ways to help them recognise and create letter shapes. 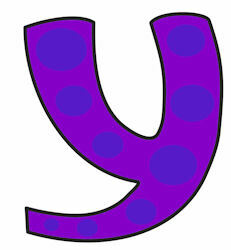 Help younger children to learn how to recognise and draw the letter X with our fun and quirky template. Simply print out, and use for tracing, colouring and decorating activities. You could also laminate the template so it can be reused for messy activities. Trace the letter X with this simple printable page. There aren't many creatures that begin with an X, so we hope you'll forgive us for this one! This x-ray fish makes a fun poster, though.